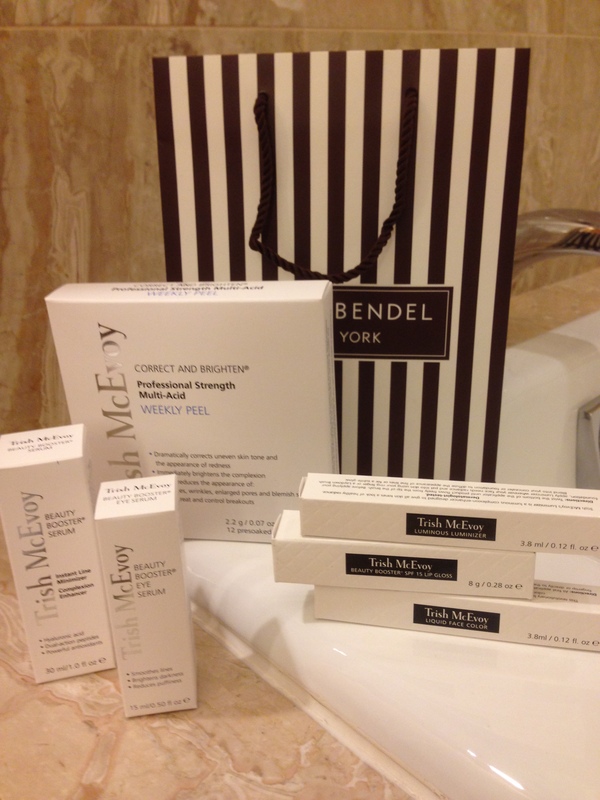 I had to share the products that I picked up at Henri Bendel New York. If you haven’t been into Henri Bendel’s in NYC, please stop in next time you are in NYC. It has tons of jewelry, makeup, bags, scarfs and much more. I always find the most unique things here to take home with me. I actually had no intention of buying any skincare or make up this time, but I came across a serum that made me glow and also took away my puffy eyes and dark circles that come with age! I have been using Trish McEvoy Beauty Boost Eye Serum since last Friday and I notice a difference from the moment I put it on. The serum absorbs quickly and the puffiness for me has decreased. I really am liking it much more than my daily eye cream. I also bought Trish McEvoy Beauty Booster serum for my face. I really love this! It absorbs very quickly so I can put my sunscreen over it and what I like the most is it gives me a glow all day and keeps my skin moisturized. I have seen an improvement in the texture of my skin as well, its very smooth. These are just my findings that I wanted to share. I really like the product and love to give my feedback on what works for me and what doesn’t. Give it a try! Click on the picture to get! ← New York Eats, Day Two!